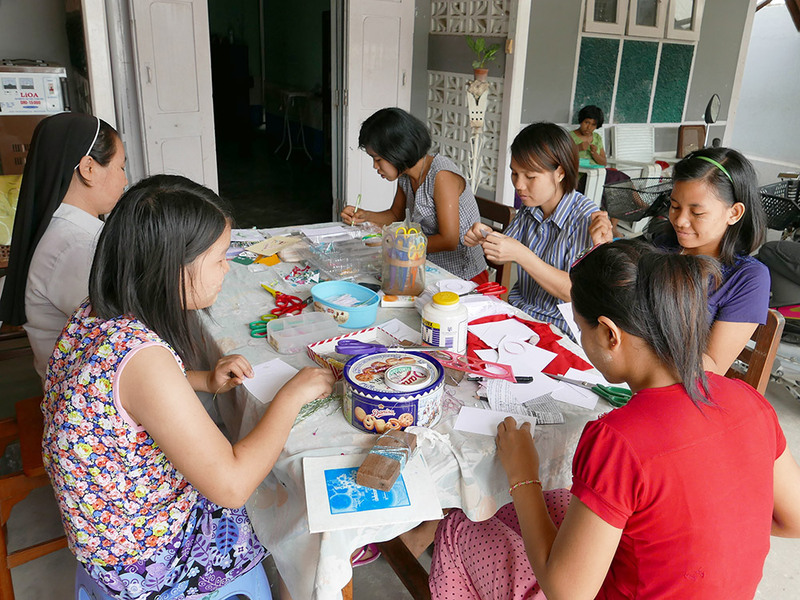 In Mandalay, PIN continues to assist the Good Shepherd Sisters in their support for young women in social crisis, abused and trafficked girls, and street children. After helping the Sisters in establishing a Healing and Drop-In Center for vulnerable girls, PIN assisted the Sisters to build an Empowerment Center for Young Women. The new Center will instruct and energize girls and young women with a fresh vision, which will bring a sense of empowerment to their lives. The Center provides vocational training and accommodation for the underprivileged girls and young women who have lived in fear of abuse, trafficking, and other dangers. 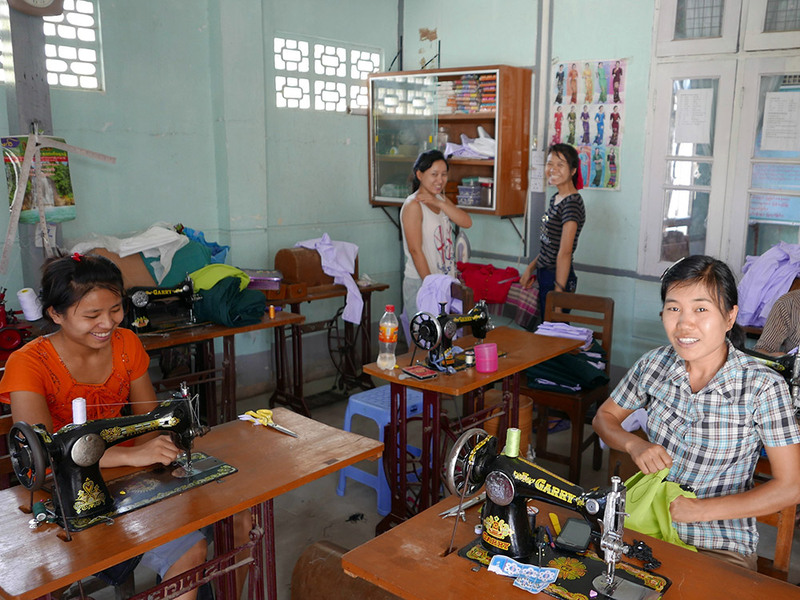 After receiving care and spiritual support in the Healing and Drop-In Center for about one year, the girls should be able to transfer to the new Empowerment Center and participate in sewing and handicraft training and other educational and professional classes. 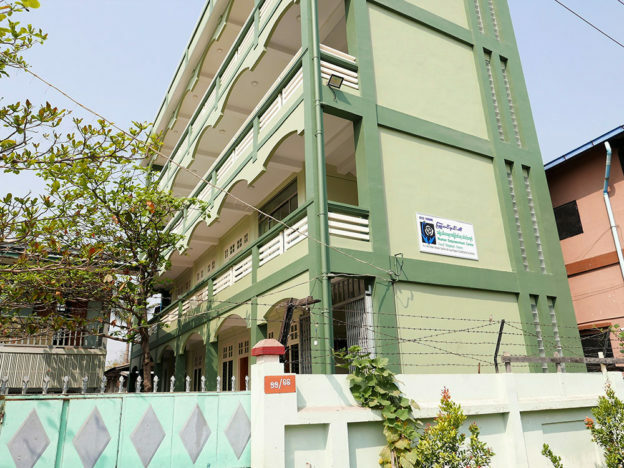 With the donation of a major international charity, we completed the “Rose Virginie Women Empowerment Center” of the Good Shepherd Sisters in Mandalay in 2016. The new four-story building together with an existing two-story house increased the training and accommodation capacity for the vulnerable girls. The Center now provides accommodation for 50 girls and young women as well as space for sisters, counselors, and trainers. Additionally, the Empowerment Center offers day training activities and seminars for residents and vulnerable young women and girls from the neighboring areas. The Empowerment Center is the new Center of Excellence of the Myanmar Good Shepherd Sisters for the training of girls and young women. Accordingly, we relocated our Vocational and Leadership Training Program from Yangon to Mandalay in mid-2016.